Greg has quickly become a valued member of our maintenance technician staff since joining UDC in October 2016. A Maryland native, he lived in Naples Florida for over 20 years before moving to Tennessee in 2016. Greg now resides in Piney Flats, Tennessee with his wife, who is originally from the area. 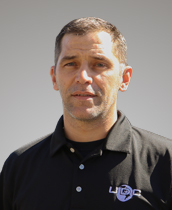 He brings a wealth of knowledge to the UDC team from his many years of experience in maintenance and construction. For 4 years he was employed at a mental health and rehabilitation facility performing general maintenance tasks. Prior to that, Greg owned his own handyman business where he collaborated with area Interior Designers providing essential home renovation and construction services for their clients.